Well, that’s that. We all liked the look of Notion Ink’s Adam, with its hot-pants interface (controls in the back) and Pixel Qi screen, but if it’s not going to hit until November then there’s little chance of its survival. 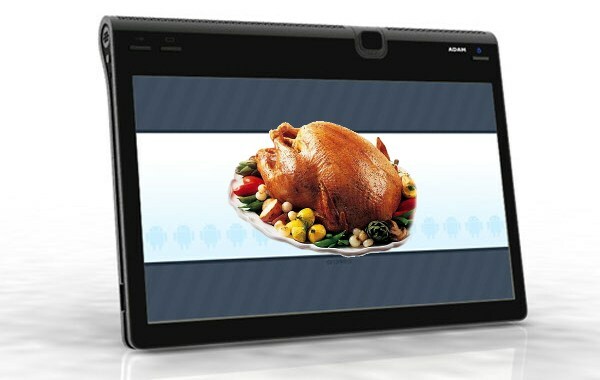 It’s hard out there for a tablet, and with dozens of new tablets making their debut at Computex, it may be too hard for the Adam to differentiate itself five long months from now. What will be going on in November to thwart the poor Adam? Well, Chrome OS will be coming out, the new iPhone will be in stores, half those new tablets will be shipping, HP will likely have announced its webOS tablet, and who knows what else. It’s too bad, but with a serious delay like this it just doesn’t seem like the Adam will have any kind of pull on the consumer mind around that time. Alas! The reason for the delay is manifold: hardware scarcity, Flash compatibility troubles, and shareholder meddling are all fingered as partly responsible. Otherwise we might have seen it as early as July — not a possibility now, I’m afraid.